On Saturday, November 8, 2014, His Serene Highness Prince Albert II of Monaco accompanied by several Monégasque government officials visited the SBM Offshore facilities and Keppel Shipyard in Singapore. During his visit the sovereign prince was given a tour of the massive oil tanker by SBM company officials. Members of the Danish Royal Family Attend a Concert in Copenhagen. 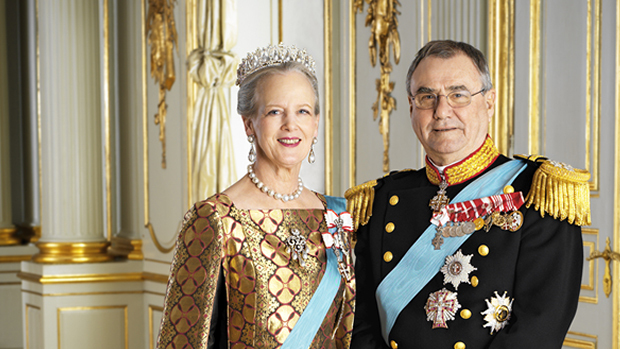 On the evening of November 13, 2014, Her Majesty Queen Margrethe II and His Royal Highness Prince Henrik of Denmark accompanied by Her Royal Highness Princess Benedikte of Denmark attended the Livgardens Musikkorps concert in Copenhagen. On November 13, 2014, Their Royal Highness The Duke and Duchess of Cambridge attended the 2014 Royal Variety Performance, in support of the Entertainment Artistes’ Benevolent Fund, held at the Palladium Theatre in London. HRH Crown Princess Mary of Denmark Receives an Award. On the evening of November 13, 2014, Her Royal Highness Crown Princess Mary of Denmark accompanied by her husband, Crown Prince Frederik, attended the 66th Annual Bambi Awards ceremony held at the Stage Theater at the Potsdamer Platz in Berlin, Germany. During the ceremony the future queen of Denmark received the 2014 Bambi Charity Award for her “…engagement against domestic violence…” according to a press release. In the past other royals received the Bambi Award including Her Majesty Queen Silvia of Sweden, Her Royal Highness Crown Princess Mette-Marit of Norway, and Her Serene Highness Princess Charlene of Monaco to name a few. Click here, here, and here to view photos.